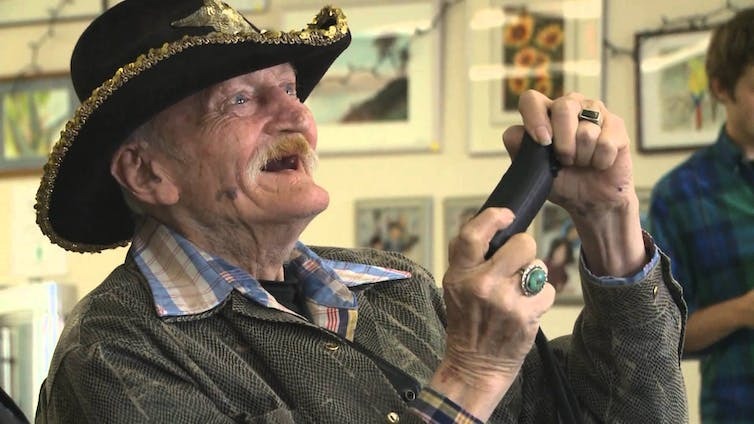 Gaming makes getting older better, and more fun. Sitting quietly in the corner, we watch a daily family ritual: in the living room awash with soft afternoon light, a six-year-old boy is sitting on the floor, controller in hand, eyes firmly on the television screen. His fingers expertly guide the colorful character in Skylanders, from time to time glancing over his shoulder and grinning at the figure on the sofa, his 68-year-old grandmother. Perched on the edge of the seat, she follows his game dutifully, exclaiming and clapping when he finishes a task or meets a challenge, responding with enthusiasm and praise to his frequent inquiries: “Did you see me, Gram?” Every day after school, the two of them do this. Sometimes he plays with friends, but still asks his grandmother to watch. Sometimes he sits calmly on the sofa by her, and they play Minecraft together. Well, he plays; she watches. Such a scenario has become common in households across America, with older family members partaking in the gaming activities of the younger generation – and not just watching them play. From 1999 to 2015, the share of American gamers older than 50 increased from 9 to 27 percent. They enjoy the challenge, the fun and especially the social side of playing video games. A major draw is that gaming can be a way to spend time together with others, including their children and grandchildren. Our research shows that members of all generations – young and old – view family togetherness as a benefit, and many play video games with that as a specific purpose. They enjoy the games, they enjoy playing, but what they really enjoy is the interaction, which helps to create connections among family members. Better yet, these connections can improve mental and physical well-being and improve relationships, which are all keys to maintaining a high quality of life as people age. America’s population is aging, and the world’s population of people over 65 is growing quickly: according to the National Institute on Aging, by 2030 one billion people will be 65 or older. Rising life expectancy combined with declining birth rates makes older adults an increasingly large fraction of the world’s population, changing the relationships and the structure of family. Three and even four generations are now likely to share significant parts of their lives, whether living together or separately. As the numbers of grandparents and great-grandparents increase, it becomes more important to form and maintain strong bonds among older and younger adults in families. As newly independent adolescents become involved in the unforgiving whirlpool of romantic, academic and social activities, family ties take a back seat. The frequency and intensity of family connections weaken, especially with grandparents. One way to maintain the important intergenerational relationships within families is through shared activities. Spending time in ways that appeal to both sides of the age spectrum also creates closeness to further strengthen connections. Video games are one important way to achieve this. Through many conversations with families like the one at the start of this story, we found that older adults who regularly play video games with their relatives find the experience enjoyable, fun and, most importantly, bonding. Mainly partaking in casual, social games, they relish the informal daily contact and the common ground gaming creates between them and their children and grandchildren. Younger adults, in turn, play video games with older family members mainly as a means of maintaining or deepening their relationships. In most cases, they carefully select the games based on their family member’s perceived interests and abilities. When playing with friends, they typically focus on games with higher levels of control complexity or story involvement, such as Call of Duty or World of Warcraft. But when playing with older adults they select “exergames” such as Dance Dance Revolution or app games such as Words with Friends, meeting the perceived necessity for simple controls, as well as outcomes beyond mere enjoyment, such as physical or mental exercise. 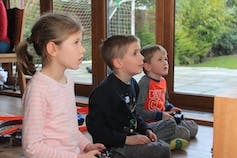 Regardless of age, the ability to stay connected through gaming is the most prominent motive for playing. For the young, playing simple, casual games that do not necessarily excite them is still a good way to feel the comfort of family. For the old, working through frustrations of learning to use new technologies is a small price to pay to actively participate in the lives of their children and grandchildren. The results are happiness and enjoyment stemming from the bonding, the conversations, the feelings of being closer to loved ones and even maintaining relationships across distances. NextNext post:Are esports the next major league sport?